At least three people are dead and five others are wounded after a suspect opened fire on a tram Monday morning, local authorities said. Utrecht Mayor Jan van Zanen confirmed the fatalities in a video posted to Twitter in Dutch. The shooting occurred near the 24 Oktoberplein station in Utrecht, located about 30 miles southeast of Amsterdam in central Netherlands. 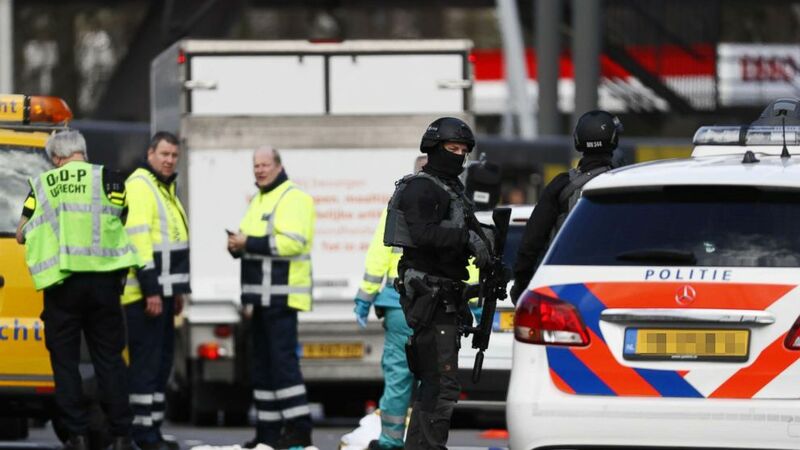 The main suspect, a 37-year-old Turkish-born man, was apprehended, the mayor and Rob van Bree of the Utrecht police said in an early evening press conference. At this time, a motive remains unknown. A second person was also arrested they said, although that person's identity and connection to the incident is unclear. Earlier in the day, Pieter-Jaap Aalbersberg, the national coordinator for counterterrorism and security, said at a press conference that it was unclear whether other perpetrators were involved in the shooting. Utrecht police had asked for the public's help in finding Gokman Tanis, the 37-year-old believed to be connected to the shooting. The public had also been urged to stay indoors and away from the area. On Monday morning, Utrecht police said on Twitter they were investigating a shooting, adding that a "possible terrorist motif is part of the investigation." The shooting happened around 10:50 a.m. local time. The Dutch counterterror office raised Utrecht's threat level to maximum, according to The Associated Press.